Ahmedabad's famous boulevard, CG Road, was featured in the 'Boulevard Book'. In fact, it was designed with help from the great Alan Jacobs. 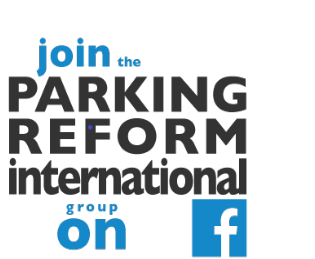 Today many of CG Road's shopping centres face a 'demolition drive' of enforcement action against their violations of the municipality's parking space requirements. The 'multi-way boulevard' arrangement of CG Road, Ahmedabad. In fact, many cities in South Asia face difficulties enforcing their minumum parking requirements. Developers and building managers often find it tempting to divert planned parking space to other uses. In this Ahmedabad example, shopping centres that are required by city by-laws to have a basement devoted to parking have often allowed shops to oocupy that basement. Shops in the basements of many commercial buildings on the CG Road face demolition, and are to be razed in just a couple of days. The drive is aimed at clearing basement parking spaces in 52 buildings on the city's only boulevard. After sending a number of warnings and notices, the Ahmedabad Municipal Corporation (AMC) has finally decided to act against irregular constructions on the CG Road. The west zone office of the AMC has drawn a 'hit list' of 52 buildings on the CG road. In most of these buildings, the parking lots have been crammed with a variety of shops. "We will now target the CG Road where we have noticed irregularities, like building shops in the parking space of commercial complexes," said a senior AMC official. "To set the record straight, we are armed with a High Court order, which directs that all parking space be freed of encroachments and defaulters fined. We expect the members of the commercial complexes' association to co-operate with us." Minumum parking requirements are coming under increasing attack in the west and have been abandoned in some inner city municipalities in favour of parking maximums. Yet here we see them being enforced ruthlessly in a densely developed Indian boulevard. Is it time for Indian cities like Ahmedabad to consider alternative approaches to parking policy? Such alternatives will need to be adapted to Indian conditions of course. The illegal conversion of parking basements to other uses is actually undestandable. The on-street parking is free or incredibly cheap and the financial return from the parking space in these buildings is tiny. So the incentives to evade these rules must be significant, especially for buildings serving middle-income or low-income customers, most of whom will not arrive by car anyway. This CG Road shopping centre appears to have shops in the basement space. Presumably, they now face demolition?